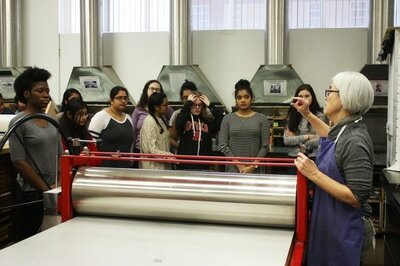 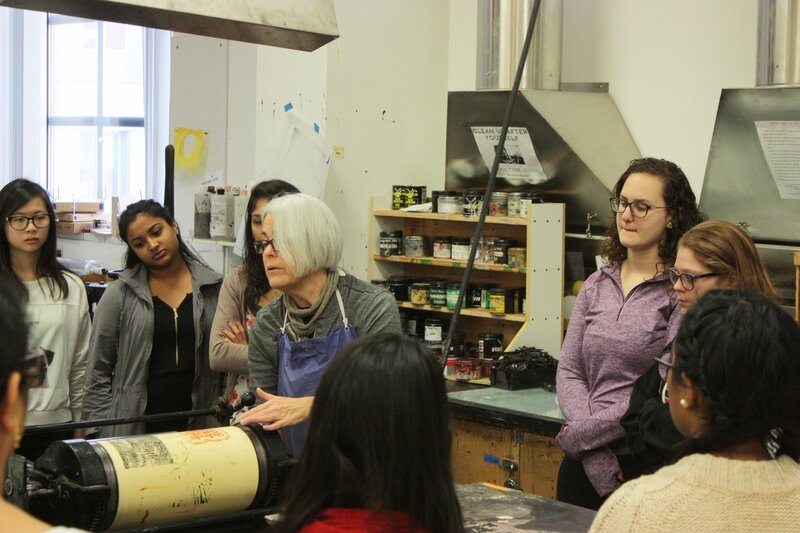 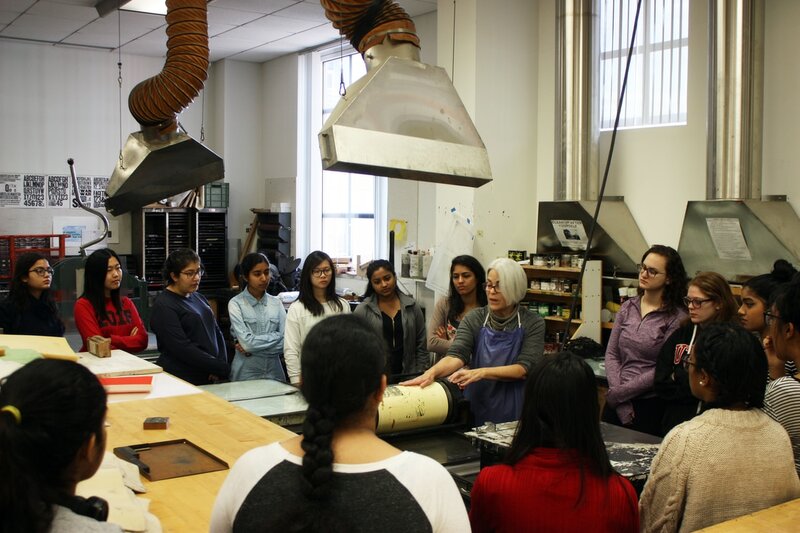 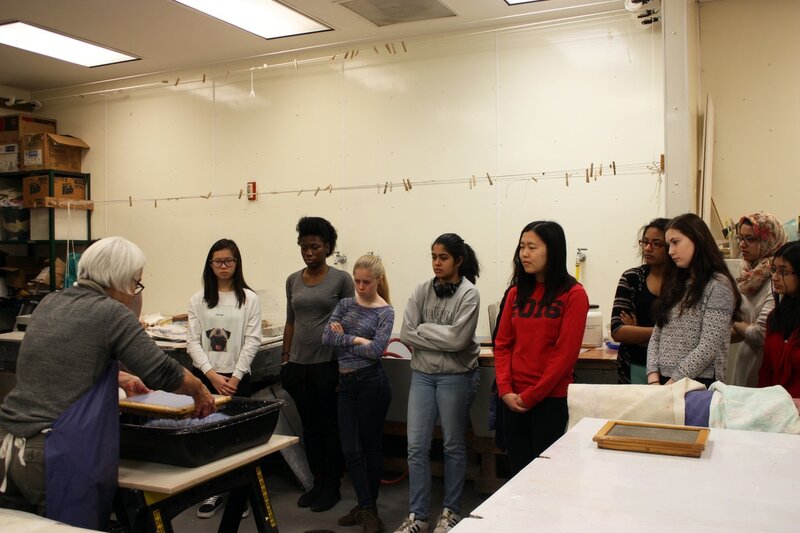 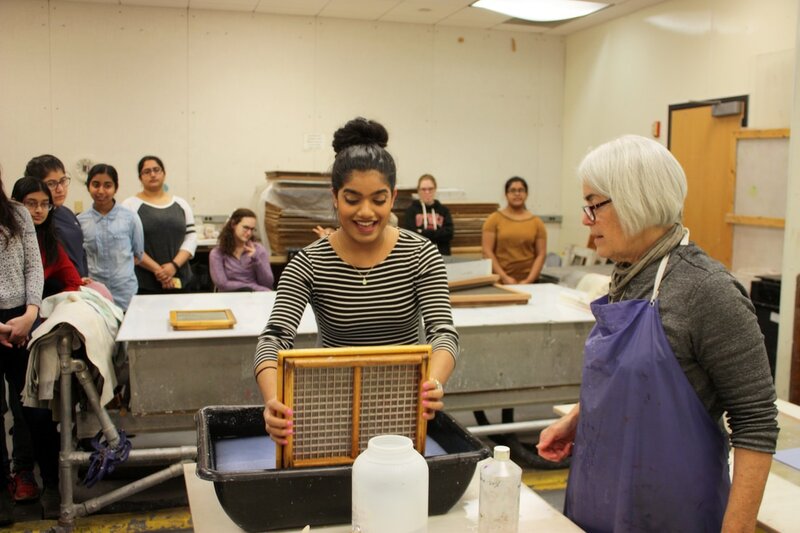 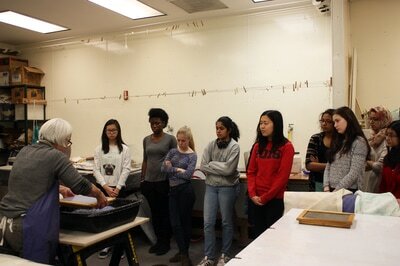 On the morning of our last day, we walked over to Mason Gross School of the Arts where Dean George Stauffer spoke with students about the aims of Mason Gross, and faculty Anne McKeown talked to us about the history of paper making and the printing press. 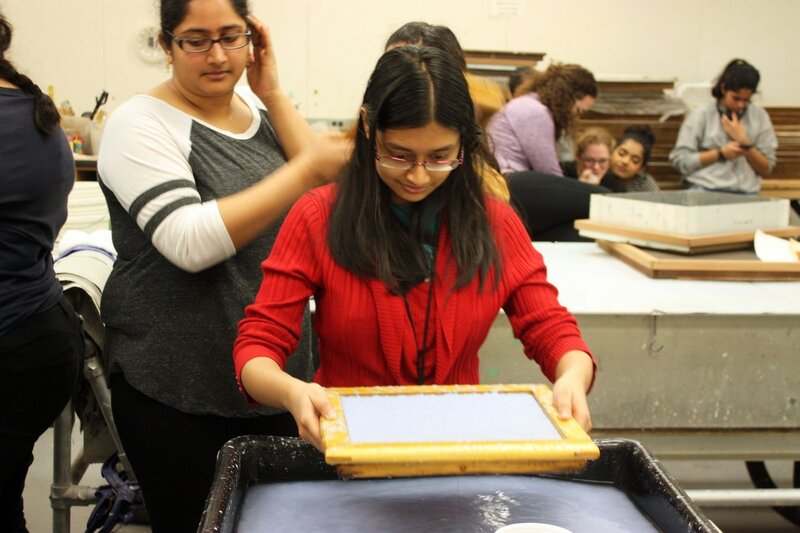 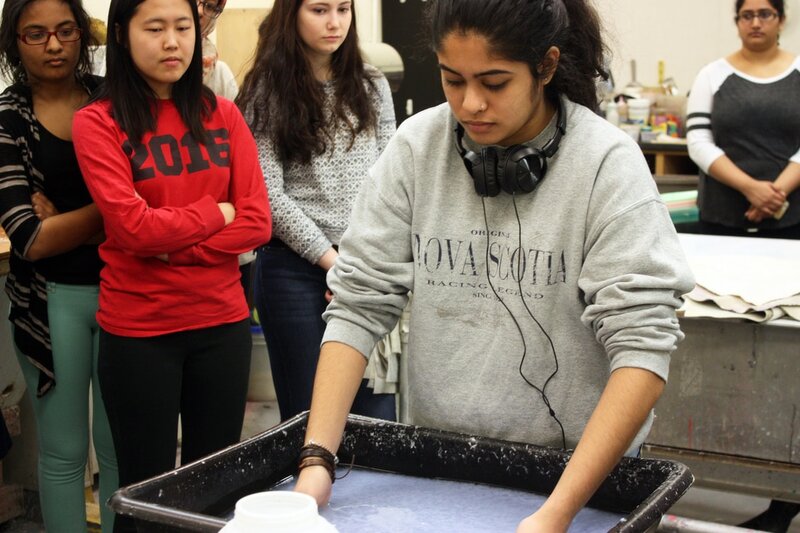 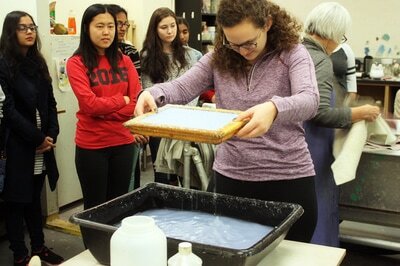 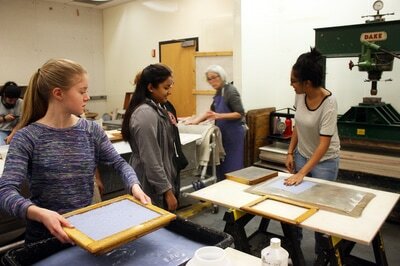 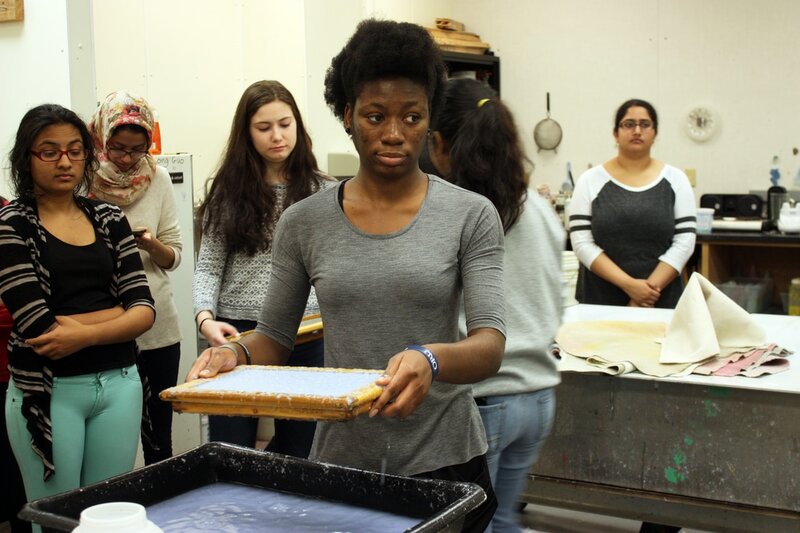 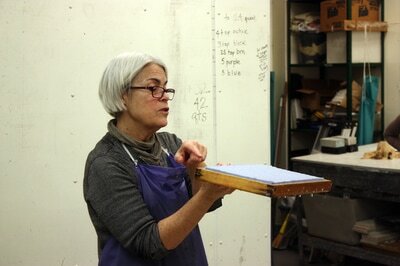 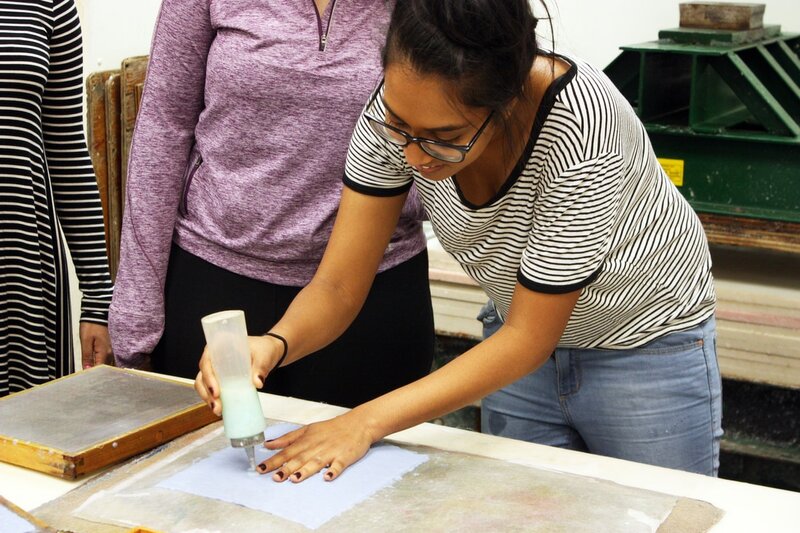 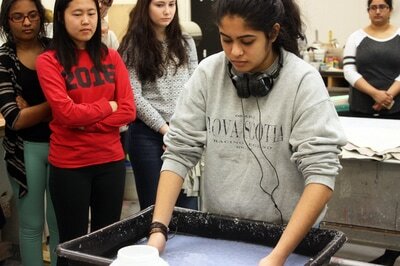 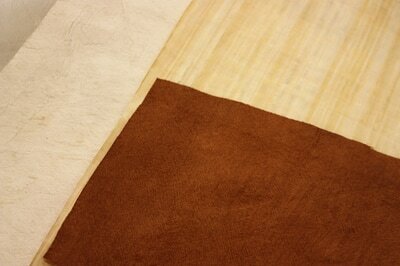 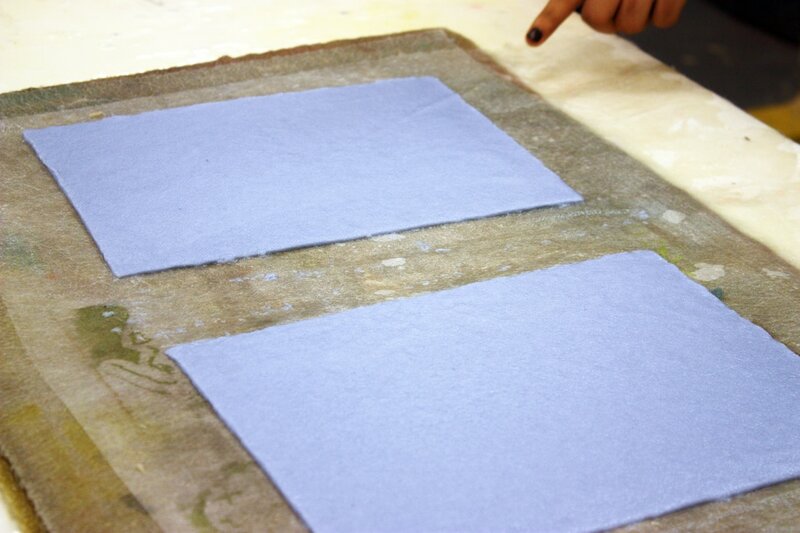 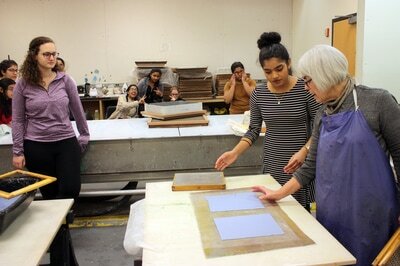 Anne took us into the wet studio and showed us how to make our own paper from blue-dyed cotton paper pulp. 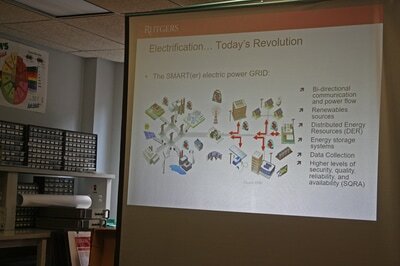 In the afternoon we went to the department of Electrical and Computer Engineering on Busch campus to visit with Hana Godrich, undergraduate director and electrical engineer, who conducts research on how to maximize the usefulness of things like power grids. 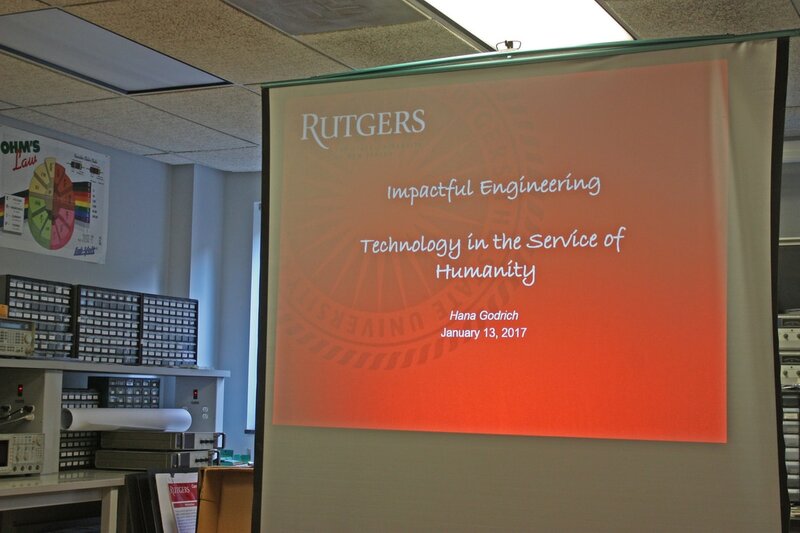 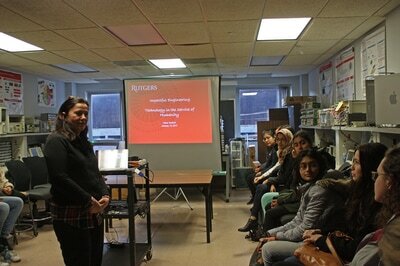 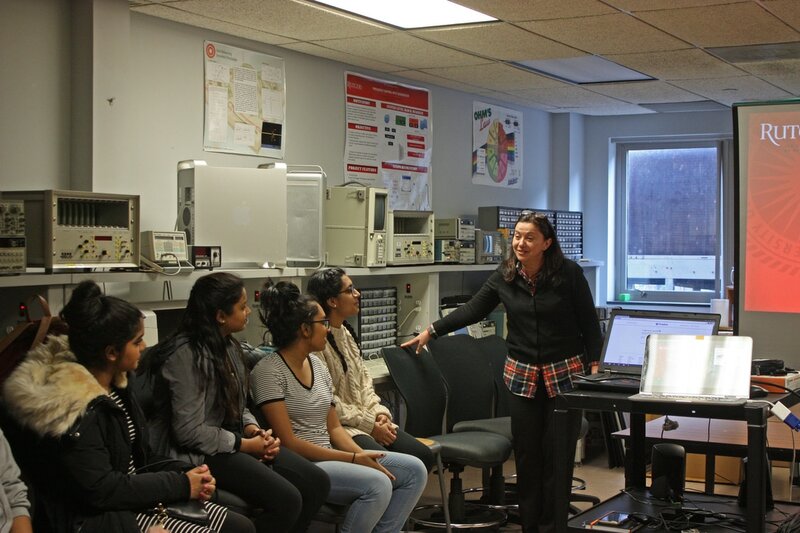 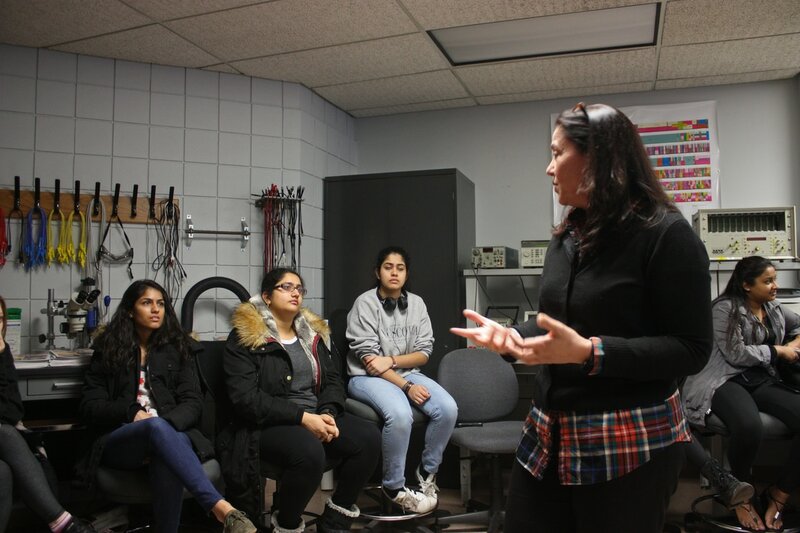 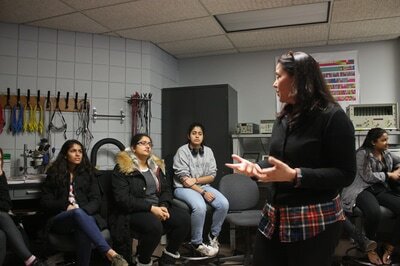 Hana shared with us her career path, an engineer's drive to use existing technology in new and innovative ways, and how engineering can create socially-minded solutions to problems like access to electricity and medicine in third world countries.